Regular Rate $2679 . Today Only $798! The Omni Cancun Hotel`s rooms, suites, and villas, characterized by their large size and beautiful marble floors, provide elegant, comfortable accommodations. Plus, all are non-smoking in compliance with local law. The well-appointed Guest quarters feature exclusively-designed contemporary furnishings, plush bedding, and superior amenities. Each room has a balcony with built-in, pillowed lounge- benches, MP3 clock radios, flat screen TVs with international channels, halogen reading lights, extra large electronic safes, hair-dryers, lighted makeup mirror, coffee machines, direct dial dual phones, iron and ironing boards, and more. My wife and I just returned from an Anniversary trip that far exceeded our expectations. The hotel is clean and the food is excellent. And the service......unbelievably efficient, friendly, and accomodating. The demeanor and professionalism of the staff is incredible. It starts with Yasmin the breakfast cook. In the mid day it is the staff at the pool or the Pina Colada. It ends with the lovely meals at night and the turn-down service. In between, you are taken care of by people who obviously are treated well by the Omni....it shows in a sincere way. Daily Social Activities planned for adult and children include aqua aerobics, water polo, trivia games and more! 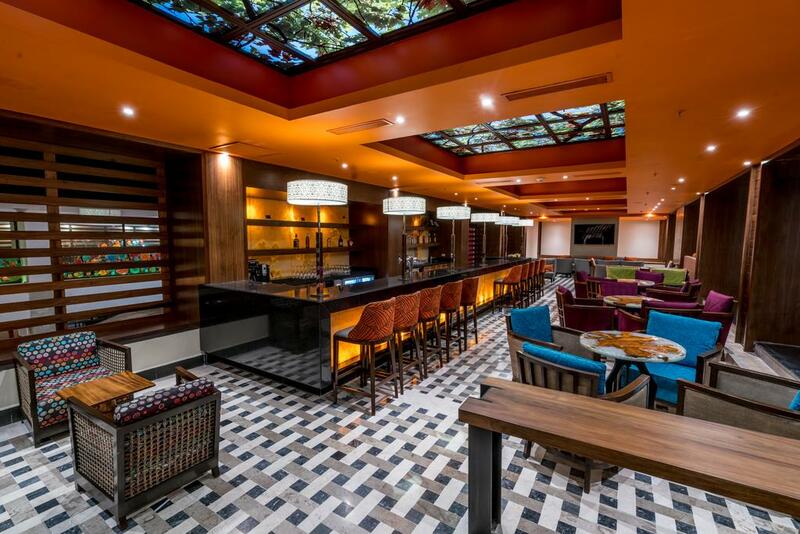 The Omni Cancun Hotel & Villas gives you many wonderful restaurants and dining options to enjoy, all of your meals and beverages are now included with your stay. Dine with a view, enjoy live music or cozy up for an intimate dinner by candle-light. Irresistible fare, tempting elixirs and wonderful atmosphere are the specials at every Omni Cancun Hotel & Villas restaurant or beachfront bar. Weekly theme nights include the Mexican Fiesta and Beach Party among others. For the healthy minded, all of our restaurants and room service now include low calorie, low fat and low sodium Spa menus specially prepared by our chef. Fully-remodeled, this beachfront eatery and bar overlooks the turquoise Caribbean, and features seafood and grilled specialties for breakfast and lunch. Also available for special group parties and dinner. The ocean view Sushi Bar serves a succulent selection of fresh sushi, rolls and sashimi as well as refreshing beverages to quench your thirst. . Located on the beach, this spectacular Jacuzzi Beach Bar for our guests 18 and older is where you can relax and have fun in an exotic atmosphere. .
With a great Martini Menu this contemporary, Mexican bar offers live music in the evening, all in a cozy atmosphere. 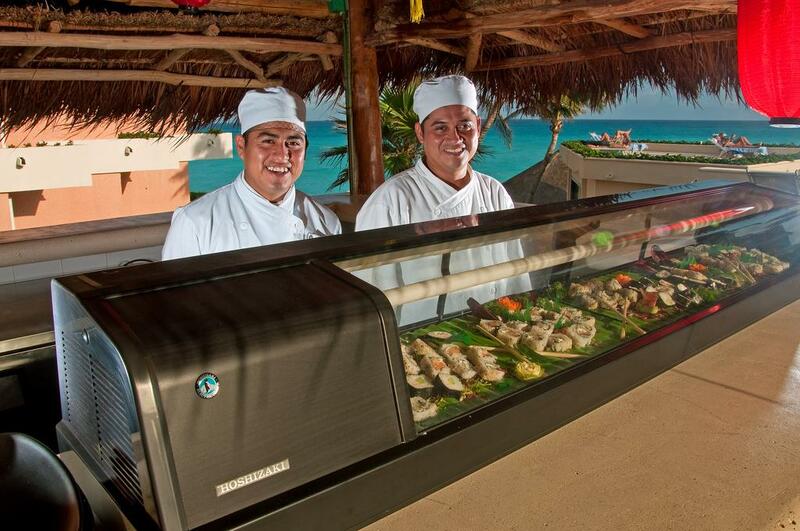 Serves light lunchtime specialties and features a full swim-up bar. Everything Bookvip said was exactly as it was. We loved it. Everything was hassle free and we will definitely come back again in the future! We would like to say thank you very much to Bookvip.com for helping make our anniversary trip to Cancun, Mexico at the beautiful Omni Resort fantastic and easy to book. We are at the Omni Cancun Resort in Cancun, Mexico. It's very beautiful out here. We have the ocean and three swimming pools. We stayed here for six nights, five days. We really enjoyed our stay here. We are in Cancun, Mexico thanks to Bookvip. We're enjoying the Omni Resort. It's beautiful, food is great, people are wonderful, the beach is beautiful, are we're just loving life and living the dream. Drinks, food, atmosphere?. You can't beat it! Thanks to Bookvip we have been able to enjoy a great vacation in Cancun, Mexico. "Not just "best value", but simply one of the best at any price." Probably our 4th or 5th time here. We come back for a reason: consistently great service, property, food, and ambiance. Not ritzy or super-polished, just done right. And for the price? Cannot be beat. Go thru Bookvip.com Travel for reliable pricing, transport, and service. "One of best vacations ever!" We just returned after 8 days at the Cancun Omni and it was FANTASTIC. The service was the best I have ever experienced and the food (even at the pool bar) was exceptional. The hotel is the perfect size - not too big and not too small. We were able to get to know many of the staff (Jorge, Luis, and Ramone to name just a few) who all remembered what we liked to eat and drink and made great recommendation. The pool bar restaurant (did not have a name) was the biggest surprise - with 4 star level of food both is taste and presentation. The Pina Colada restaurant was our favorite. It was right on the beach and served delicious food that was beautifully present. I can not say a bad thing about the Omni Cancun! "Fantastic week at the Omni"
We stayed at the Omni last week for 7 nights. We were extremely impressed and loved the hotel. Would recommend it to any other couple or family. Location: very close to the airport - 15 mins. There's a restaurant, convenience store and Avis opposite the hotel. We went up to the area with Coco Bongo, Hooters etc one day but with the heat it was too far to walk for us - we walked halfway then got the bus. Buses are very frequent. Rooms: excellent. Comfortable beds, good A/C, very clean, minibar and coffee restocked daily and towels changed twice a day if you want. We got two double beds instead of one king, and a corner view instead of lagoon view, but we didn't bother complaining. It was quite nice to see both lagoon and ocean Pool area: always lots of sunbeds, nice pools and jacuzzi. Great drinks service. Beach: beautiful, clean, again plenty of sunbeds and shade. Food: the dinner buffet was excellent, but we only ate there two nights. We went to Da Vinci twice (highly recommended - order the chocolate piano), Deva (Indonesian on the beach - again very nice, great menu and cocktails), Viva Mexico (this is only open until 8pm but one night we just wanted something informal), and ordered room service once as this is included. Breakfast was fantastic, and not just for the mimosas! We went to La Paloma twice and then Pina Colada the rest of the time. We liked that the buffet had A/C but you can't beat having breakfast on the beach. You can order omelettes, burritos, eggs etc off the menu and everything was delicious. One of the waiters, Adan, was great - I never had an empty mimosa glass! For lunch we alternated between Pina Colada and Viva Mexico. Moises at Viva Mexico was the first member of staff we met and made us feel very welcome each time we went back. Drinks: one of the highlights of our holiday was Kuku's Bar and Francisco who works there. So friendly and was always giving us different drinks to try. We usually went there around 4pm - it was quite busy but we could normally get a seat. Really nice place to be when the sun goes down. In the evenings we usually got drinks from the lobby bar and then took them to our balcony or to the pool area/beach. Water - we were probably over cautious and drank bottled water with straws, but as the tap water is purified I'm sure it would have been fine. You can get bottles at all of the bars and in the minibar. Staff: as I've mentioned, everyone we encountered was incredibly friendly, much more so than anywhere else I've visited. Hardworking too, there were always people around cleaning etc. We tipped small amounts regularly but I'm sure the service would have been great even if we hadn't. Apart from staying around the hotel, we had a day at Ik Kil cenote and Chichen Itza (I'd recommend booking with Via Tours - well organised, excellent guide and included lunch), and a day visiting Coba and Tulum. We hired a car from the Avis across the road from the hotel - good service, no problems with the car and driving around was easy. Dolphinaris near the airport was great too if you want to swim with dolphins - cheap but the photos were reasonably expensive. Thanks Omni for a brilliant week! "Great Service and Beautiful Resort"
Stayed at the Omni for 5 days and found it to be great resort. Perfect location and amazing service. Had a basic hotel room and was nice, clean and large. Service was quick and they took the time to know who you were. Food was good. Nice selection. Pool was one of nicest I have seen. Large and very very clean. I would recommend this to couples and families with small children. Teenager may get bored as I did not see many in that age range. We returned to the Omni Cancun for Christmas week, after a wonderful stay at this property last year during the same week. A big thank you to Norma for ensuring that the needs of our baby grandchildren were well met in terms of cribs, and accommodations. As noted in other reviews, many of the staff have been working here for many years, and we were welcomed back by several with a warm "Welcome home!". We made restaurant reservations in advance with the hotel concierge and although there were some mix ups, we did get it sorted out on our first day. The restaurants always appear to be half full, but it seems to have to do more with staffing, as they cut off reservations when they reach a certain number. Da Vinci restaurant has become adult only (over 18) . There is another restaurant under construction which hopefully will be open to families, which will be a good addition to the only other a la carte restaurant that is available to families, called La Deva. This hotel suits our multi-generational family's needs in terms of it being a smaller property, and thus easy to get around. Beautiful stretch of beach, and it is not too difficult getting chairs. Easy to find empty chairs by the pools, but more difficult if you want shade. The water temperature in the pools was warmer than last year, but might be related to warmer weather. Will definitely consider return visits in the future. My family of 5 spent the week between Christmas and New Years at this hotel. We had a 3 bedroom villa which was perfect since I was traveling with 2 college kids and a high schooler. The villa had 3 full baths, 2 queen beds and 2 full beds, a patio and 2 balconies with ocean views. It was cleaned thoroughly everyday and the fridge was re-filled with beer, sodas and bottled water. The grounds and pools were beautiful. The beach area was very clean, with bar service and life guards. The staff everywhere were incredibly friendly and helpful. We tended to eat at the smaller restaurants on the property. There is a great little mexican restaurant that has tacos, burritos, burgers, etc. We also really liked the sushi bar for lunch. We had breakfast everyday at Pina Colada, the beachfront restaurant, where we had great huevos rancheros, omelettes, and mimosas. Make sure you go to the 2 specialty restaurants. My family really likes Asian food so Deva was our favorite although we had a very good dinner at DaVinci too. We felt the buffets were not anything special but seemed to be very popular with others. The lobby bar is a great place to hang out in the evening. It is filled with separate seating areas that have comfy chairs and are perfect for family card games. The hotel offers lots of activities...yoga, zumba. pool games, water volleyball, beach volleyball, a full gym, etc...but our favorite activity was sitting in the sun reading a good book. Just what the doctor ordered, a perfectly relaxing week!! "The staff is like Family!" This marks my 5th or so visit to Omni Cancun over the years. I have watched it grow but never waiver from it's excellent service. The staff make this hotel feel like home. The hotel sits on one of the most perfect beaches in Cancun. The Pina Colada restaurant is the best for breakfast and lunch. The Sushi bar is also great, yet does not remain open enough, in my opinion. The facilities are getting a little worn, but the staff will do whatever they need to do to make your stay most comfortable. I would say that they need to improve the following: Quality of food at dinner buffet, have the sushi bar remain open for dinner. Improve food at Deva, a reservation only restaurant. Change Da Vinci into a family restaurant that does not require reservations as there are just not enough choices in the evening. We will continue to stay at the Omni upon our 2 x annual trips to Cancun, but with little improvements, it would be PERFECT! I have stayed at this hotel multiple times and have had great experiences each visit. 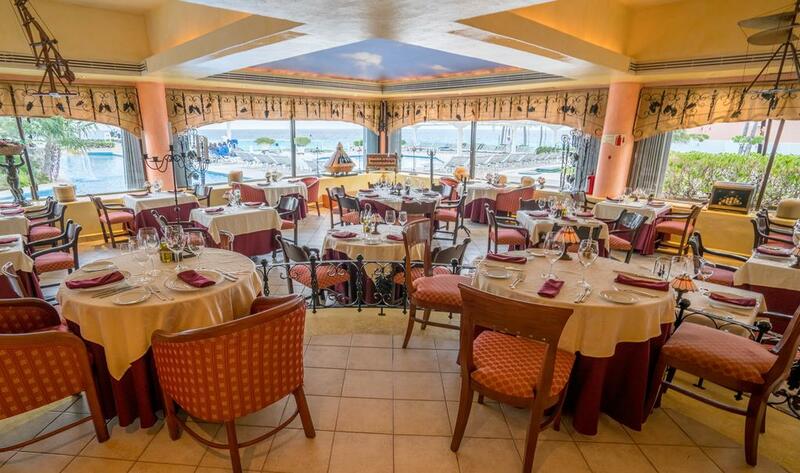 Multiple restaurants on property and a private beach makes this property exceptional. It's located roughly 2 miles away from downtown which gives guests the opportunity to relax a bit more without too much noise. Tons of restaurants and shopping are close by as well. I will make a return trip and stay at this hotel. 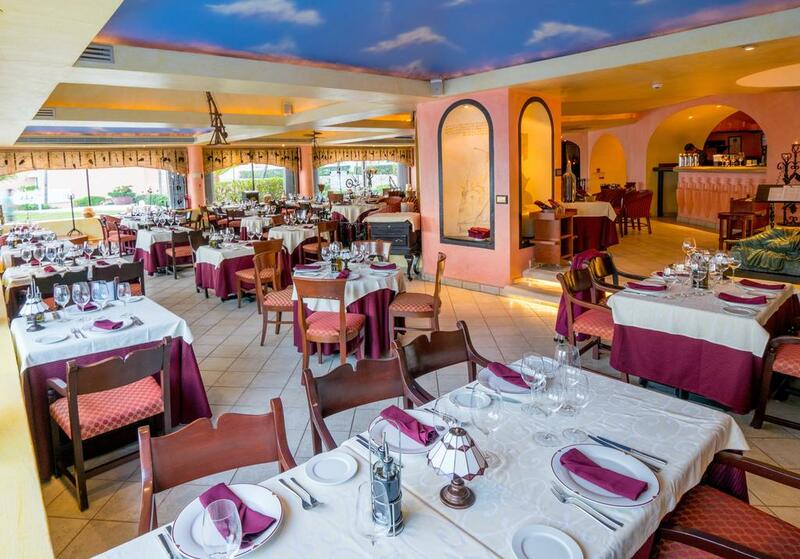 We were very pleased with the overall experience and the staff was excellent, the rooms were clean and the food was very good for all-inclusive. Excellent pools and the beach was amazing with the restaurant and the swim up bar to the way it was all laid out with the huts for shade if you wanted it. "The service is AMAZING here, great place to stay"
Let me start off by saying I am in the travel business and we are VERY picky about where we stay. We own a few fractionals (high end timeshares) and we prefer newer, modern resorts. We were lucky to be invited with friends to come here for Christmas week. I was down in Cancun two months ago and went in to check this place out just to make sure my family would like it. Looked fine, didn't get to see too much of it since security was really top notch. We made our reservations some time ago with Mara (our friend owns here) and she was a pleasure to work with. She described the rooms and the all-inclusive program. When we checked in, we were able to meet her and she gave us a big hug. We were told to as for Ozzie at check in since our friend works with him direct. Wow! Another big hug right away, he was really kind to us and helped us get settled in. We were able to upgrade and get our 12-year old son an adjoining room for a very reasonable rate. He really was good to us. This resort is 20+ years old and you would never know it. It is SPOTLESS! There must be 3 employees to every 1 guest. The place is not worn out and they keep it looking new each and every day. The weather was perfect (85) and we had ZERO complaints. We normally do not like buffet food but this place - the Omni knows how to do it. We wound up eating most our meals here. We ate at Da Vinci twice (reserve recommended) and it was wonderful as well. We did notice a lot of people not tipping all week. This is all inclusive but tips should always be given to these hard working people- if you can't afford to tip- don't go on vacation. The views are amazing and the pools were really clean. We really liked the lounge beds on the beach next to KuKu's beach bar. The ocean here is completely swimmable and is a perfect place to be. One of the best beaches we have been to. Their gym is great (we used it often) and very clean with all the equipment you will need. Across the street is a pharmacy and Oxxo if needed along with Jet Ski rentals for the lagoon. You can take the $1 bus (VERY clean and safe) around the whole city and just get on each time for $1. We love this city and have as a family, we have no issues with feeling unsafe here. Most big Mexico resort towns are this way. Those afraid of these parts of Mexico, don't be. Don't believe all you see on TV. They take care of the guests from the minute you get there to the minute you leave. The service we got while leaving was top notch as well. The airport is very clean (I really can't believe how clean this city is) too and has a few good shops. Even a MAC store ladies. Try the Omni, it's reasonable to get into and the A/I plan is approx. $100 per day for Adults, $30 for kids under 12 and $55 for 13-17 year olds. wonderful complex which was very, very clean and had the friendliest staff you could ask for--throughout the hotel--and never a wait for anything, even on the full capacity new years week!! recommend it to all, excellent place to enjoy cancun----although they need to be more lenient with the ocean swimming--they put the red flag up at the first sign of white water! "We will be going back!" I have been to Cancun 4 times and this resort was my favorite of all! From the minute we walked in we loved it, there was 6 in our group from ages 20-58 and all of us loved it! There are so many pools and hot tubs and of course a wonderful beach! Of course the swim up hot tub bar was a daily event rain or shine with a quick game of sand volley ball going on! The selection of places to eat was wonderful from a shrimp omelet with mimosa's for breakfast right on the beach to some afternoon sushi and excellent cocktails in the afternoon to wonderful nighttime dining. Every person in our group was very happy with all of the eating choices. There were activities going on if you were in the mood and if a person would ever get bored here that would be a personal problem! We can't wait to go back! We had a very nice time at the Omni and would certainly return. We traded in through Interval and knew, up front, that we would have to pay for the all-inclusive. We were quoted one price over the phone, and when we arrived, we were told a different price. We worked that out, however. That was the only glitch. Our overall experience was very nice and we have only positive things to say about the Omni. We arranged in advance to be picked up at the airport by a shuttle. The shuttle was there on time, and the price was $10 per person each way, which is reasonable. If you are asked by a person inside the airport about your shuttle, you should ignore him because it is likely he will try to sell you something. The Omni itself was very clean, and we felt very safe there. The staff were extremely friendly and accommodating. We were told in advance that you should tip the staff. The staff never requested tips, but they were appreciative when you did. I am not sure that we received any better service by tipping, but knowing the low wages that the staff get, I wanted to tip them. Bring plenty of singles, because you will need the singles for tips. The front desk will not change your $20 bill for singles. The front desk will change your U.S. currency into pesos if you feel the need to have Mexican currency, and the rate you get at the front desk will be better than you get at the airport. While we did change $20 into pesos, it turned out that we didn't need to. Everyone takes your U.S. dollars. You can ask the bars to change your $20 bill into singles. By the afternoon, the bars should have enough singles to make the exchange. Our room was nice. We had an upper floor with a lagoon view. I am sure that the ocean view was better, but we only stayed in our room to sleep, so I don't feel we missed anything not having an ocean view. Ask for an upper room away from the elevators. The bathroom was clean and the shower was fine (although you need to make sure you pull the shower curtain all the way shut or you will get water on the floor). The bed was comfortable. There is a safe in the closet. There is a refrigerator that they re-stock daily. There is also a small microwave and toaster. Apart from the king-size bed, there were two chairs, a desk and a table, but we never felt crowded in the room. We stayed Dec. 7-14, which was a slow week. The beach and pool areas were relatively empty. We never had to reserve beach chairs or pool chairs because there were plenty available, even when we got to the beach at 11:00 am. The fitness center was nice and it too was empty so we never had to wait to use one of the machines. The all-inclusive was worth it for the convenience alone. There were several places to eat and the drinks were plentiful. The food was not great but it wasn't too bad either. We are not "foodies" and we did not stay at the Omni for the food experience. We stayed to relax, sit in the sun, drink and enjoy. Some people have complained that there was no variety in the buffet. The breakfasts were fine. Go eat breakfast at the restaurant by the beach. You can get omelets, eggs, pancakes, french toast, fruit, cereal, yogurt, and a large variety of breads. I'm not sure what else you would want for breakfast. For lunches, we usually just winged it. We had the sushi frequently. There wasn't much of a selection but it was good. There also is the Mexican cafe next to the sushi place that had very good quesadillas and burritos, as well as hamburgers and other sandwiches. The cafe by the main pool had pizza and good sandwiches as well. We never ate at the buffet for lunch. For dinners, the buffet was ok but not great. We ate at Da Vinci once and it was good, but we preferred Deva, which is on the beach. We ate there more frequently, although you need reservations there too. Perhaps it was because it was a slow week, but we never had a problem getting a reservation, and the restaurant was empty. The service at Deva was excellent, particularly Henry. We never found the drinks to be watered down. To the extent any drink was not strong enough, we just got another. You were also able to request premium brands. Our family of 4 (13 and 14 year olds) stayed for 6 days. Grounds are lovely. Beach was incredible, but no lifeguards on duty. 4 pools to choose from. Very easy to keep track of kids. Main buffet was only good for breakfast. Viva Mexico, Poolside Grill were excellent for quick bites at lunch. Incredible ceviche and grouper at seafood sit down on beachfront. They do stock the mini fridge everyday with bottled drinks, but you can get them at the bars anyway. View was gorgeous! Alfredo at the concierge was amazing and helpful. Went out of his way to help me when I had trouble with flights home. Bring slacks for the men to eat at DaVincis. Never left resort and didn't feel I needed to. Got exactly what I paid for and was very happy. They even made Christmas for the little ones- Santa came, there was a piata and they gave out little toys and candy. Overall the resort was great. Good family atmosphere. Great location. Service was excellent. Enjoyed the all inclusiveness. Don't expect a 5 star resort but a very good 4 star resort. Small details were lacking like the linens in the room. Our family of 4 would stay again. Good hotel and good value for the 4-night all-inclusive stay that we booked through Costco. We got a partial ocean view room with a balcony. We also had a mini-bar in the room that was replenished every day and since we were on an all-inclusive, there was no charge on bottled water and drinks. We had a safe in the room to keep our valuables. It would have been nice if there was a 5-night or week long package available as we would have loved to stay longer. The restaurant staff was empathetic, compassionate and very friendly; this was important to us as we were travelling with a toddler. Regarding the service at the restaurants, pool bars etc., food and drinks were served generously and was of good quality. The restaurant staff would walk around and take orders from people sitting on the beach, pool side etc., which made this a very pleasant experience for us. The entertainment staff kept guests who were interested entertained and engaged without encroaching on anyone's personal space. We used our resort credit that we got as part of this deal at the spa, where my wife went for a massage and she liked it. There was some entertainment/show or other every night. Fresh towels are available pool-side for anyone who needs it. There are a couple of restaurants (Da Vinci, Deva) that require reservations to be made ahead of time; the food there is very good. Trattoria (the Italian cafe) has good pizzas (especially for those with children). The buffet at La Paloma had a lot of selections, especially the desserts. We stayed at the Omni for 6 nights starting Dec 6th, which I think was perfect timing because I don't think the busy season had started yet so we got extra attention, the resort didn't seem over crowded at all, and it was stress free. The staff was super friendly and courteous and I felt spoiled the whole time I was there. The beach access was great however it was a red flag day everyday we where there so we didn't get to swim in the ocean at the resort but we had plenty of other water activity excursions planned that we didn't miss it. However if we didn't have those excursions planned I would've felt disappointed about that since the ocean is the main reason I went to visit Cancun. (Not the resorts fault though since they can't control it) They were also starting construction on a new restaurant but I didn't even notice any annoying construction noises or clutter while we were there. When I return to Cancun someday it will be hard for me to try a different resort since I now know how comfortable it was at the Omni. "Great All-Inclusive at a great rate"
From the second we got out of our taxi the service and every employee we met were simply amazing. I am in the luxury hotel industry here in the states and I know how hard it is to please everyone all the time and to provide such consistent service but they got it all right all week. Every employee we met was so friendly and outgoing and eager to please. The hotel, rooms, beach, pool and amenities were fantastic and we enjoyed many days sitting by the pool enjoying the sun, eating sushi, playing volleyball and laughing. Our room overlooked the ocean and was very clean and comfortable and well appointed with lots of marble and good linens. Da Vinci restaurant on property was excellent as was the Indonesian restaurant. The buffets were good as far as all inclusive buffets go. Look for Javier at the front desk, Jesus(concierge), David Leon, Erlinda(pool), Luis(dinner in Paloma). They are stand out employees. "My favourite place on Earth." I've gone to the Omni twice now with my family, and we love it. It is honestly my absolute favourite place on Earth, out of everywhere I've been. We have two kids, a nine year old and a thirteen year old. Although the thirteen year old was technically too old for the kids club, she participated in some activities anyways. They weren't just mindless child games, there were water balloon fights, beach soccer, bracelet making, and piatas, just to name a few. There are two clean and beautiful pools. Whether your on the ocean side or lagoon side of the hotel (we have stayed in both) you still get a view. The rooms are fantastic, the beds are very comfortable. The staff at the omni are the best feature, I think. Each one is friendly, some even take the time to learn your name or what drain you often order. No matter where you are on the resort, you can find someone who will happily fetch you a drink or snack. There are several restaurants around the resort, the main buffet serving a different themes meal every night often week, so your not just mindlessly consuming burgers all week as most of us end up doing. And finally, the Omni is so close to the town. There is a bus stop right outside the building, and it is a very short ride into the bustling downtown of Cancun. Overall, I highly recommend you visit the Omni. You won't be disappointed. We have just started our 2nd week at the Omni and I felt I had to write to say how fantastic all the staff are, they cant do enough for you. It wouldnt be fair to name individual people as ever single member of staff has been brilliant. The entertainment team have been brilliant with my 2 kids (9 and 12) especially Enrique, Elliott and Marco. We will definately return to this fabulous resort. My daughter and I were there Dec 13th through 20th 2013. Our fourth year there.We love it. The view is so beautiful. All the people who work there are very friendly and thoughtful. Every year is better than the one before. The rooms are beautiful. The grounds are always clean and welcomeing.The food and the service are the very best. The activities crew is the greatest never a dull moment. It is small enough that you can do everythingand not spent all your time looking for something to do. We highly recommend it. We have a wonderful time and count the days till we get to go again. There are lots of fun things to do but we enjoy sailing on the Albatros to Isla Mujeres. I was there a few weeks ago and it was really great. The service is fantastic. Alfredo and Jesus and everyone at the front desk are terrific. Also Rene at Paloma is great as is everyone else who works at Omni. I have been coming here for more than 10 years and I cant wait to come back.They keep the place so clean and the beach is gorgeous. Only they need to bring back the music at night at the bar lobby! "Great view and nice property"
We had a great weekend getaway! My wife loved the ocean view and the jacuzzi bar in particular. The food was good; especially Da Vinci. The staff is friendly and helpful and the overall experience was more than satisfactory. I recommend this resort with no hesitation. "Great week at the Omni Cancun." Had a wonderful week 12-7-13 1214-13. First and foremost the staff here is awesome. Treated us like Kings and Queens all week. Always a smile and thank you for just being there. The lay-out of this hotel had to be my favorite part. Un-like the mega resorts were you must travel back in to the hotel to eat. The Omni has a walk in beach side restaurant. They have several other dinning options with the Sushi bar being about as good as it get's. Can't wait to go back. I am a travel writer who stayed at the Omni Cancun in early December 2013 (the hotel staff did not know I was arriving as a travel writer researching the area, i.e., I was not being "treated"). The staff was the warmest I'd ever seen, always friendly, helpful and attentive, and by my third day I was regularly being addressed on a first name basis. Even the maids were chatting with me, and I never got the feeling it was "forced." They seemed to genuinely enjoy the chance to chat and put a face to the mess they'd been cleaning! The food/bars were excellent, the beach beautiful, the pools and hot tubs wonderful, and the nightly entertainment was a blast. From twirling Mexican dancers and competitions for the guests, to a non-cash "Casino Night" with prizes, and even a very fun MC running games during the day by the pool, the resort's entertainment staff made every night something new and fun. Though I didn't have time to go myself, the hotel also did nightly trips to local clubs like CocoBongo and Senor Frog's. I have stayed at very fancy hotels including a week at the Ritz Carlton Madrid, and the experience couldn't hold a candle to my week at the Omni Cancun. The staff was truly the warmest I'd ever experienced, they have nice jewelry and fun little souveneirs in the on-site shops, locals coming to sell their artisan wares by the pool at night. The location is great - right on the beach, about midway between the airport and nightlife, and if you rent a car there's plenty of parking, the only "downside" being you have to climb some steps to get up to the hotel. Though even the steps up were gorgeous, with pools, palms and waterfalls all along the way. My room was huge and impeccably clean with a great ocean/sunrise view, and the drinks were fantastic.. The only thing even remotely resembling an issue was that my shower's water pressure was quite low the first two days, then suddenly got very strong for the rest of my trip. It wasn't a bother for me so I didn't mention it, but it resolved itself. I did have a problem with my in-room safe resetting and locking itself, but that had nothing to do with the resort, and the issue was completely resolved with a technician arriving in my room literally within two minutes of my reporting it. Regular Rate $ 2679 . Today Only $798!